Sixteen year old Laura Chant (Erana James) is primarily raising her four year old brother Jacko (Benji Purchase) by herself while her single mother Kate (Melanie Lynskey) works and struggles to deal with her own problems. When Jacko wonders off his big sis finds him in a shopkeeper’s web, marked by the elderly man. When Laura confronts the shopkeeper Carmody Braque (Timothy Spall) about what happened when he had the boy alone, she notices he’s younger and healthier than he appeared before while her brother grows sicker. An ancient evil is draining the youth from the young child to maintain everlasting life and his sister must uncover a way to stop him and save her brother. Based on a novel from New Zealand writer Margaret Mahy as brought to screen by co-directors Miranda Harcourt and Stuart McKenzie, this changeover is a human parasite praying on the weakness of youth. Erana James is cold in her role as a big sister pitted against the sinister creepiness of veteran Timothy Spall. The pairing works in a battle of good and evil, youth and immortality. A borderline teen drama in the guise of Twilight with something far more sinister lurking underneath. 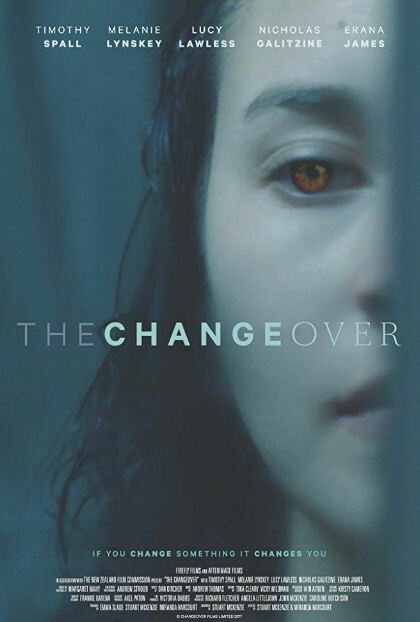 The first part of The Changeover shows a difficult life of poor teens in New Zealand in what could easily be a story based drama. It soon turns into something supernatural and creepy building suspense with hints of horror. The addition of love interest Sorensen Carlisle (Nicholas Galitzine) turns the story into a teenage romance with a disappointing disconnect losing all complexity, spoon-feeding easy answers on how to combat an ancient evil that no one knew existed before. It’s a great movie until the third act where it turns into the next horror themed teen romance, drama. Perhaps it’s just too juvenile an ending for this adult critic but for two thirds of the story I was going along for the ride.